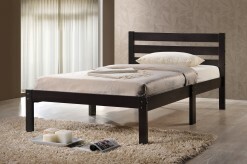 Add a little bling to your bedroom with this beautiful Regina Full Bed. Truly a bold centerpiece for any bedroom, this Regina Full Bed is accented with button tufting flare on the headboard with exposed wood feet that add additional detail to please. Add instant glamor and luxury to your bedroom with the Regina Full Bed. Mattress sold separately. 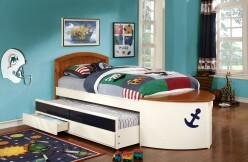 Furniture Nation is proud to offer the Regina Full Bed online. We serve customers across the DFW region including Irving, Lewisville, Frisco and many more. L80.5" x D58.75" x H40.5"